Metal hinged tin box for storing small items. 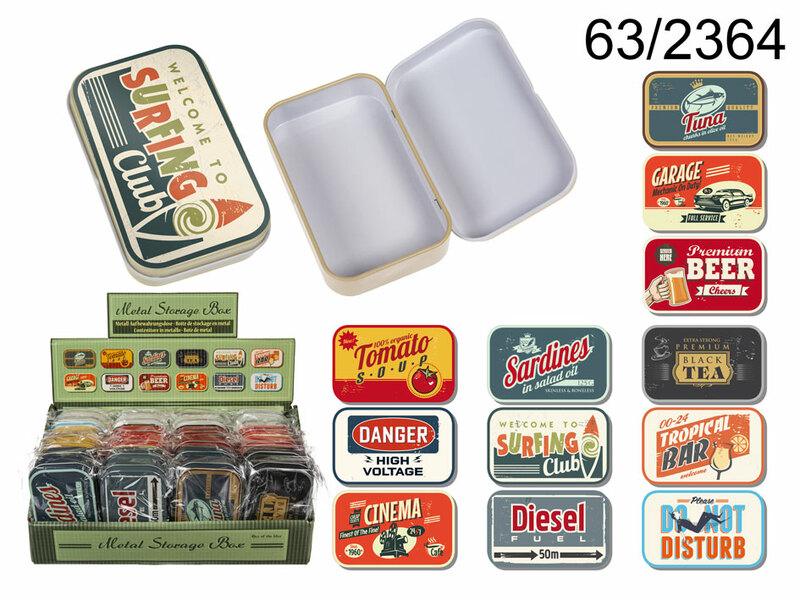 Popular retro images on the top of the lid. Cool small gift idea for everyone, especially lovers of retro style. Several patterns available - assorted. When buying 24 pieces display stand is free of charge. Dimentions: 10 x 6 x 2.5 cm.